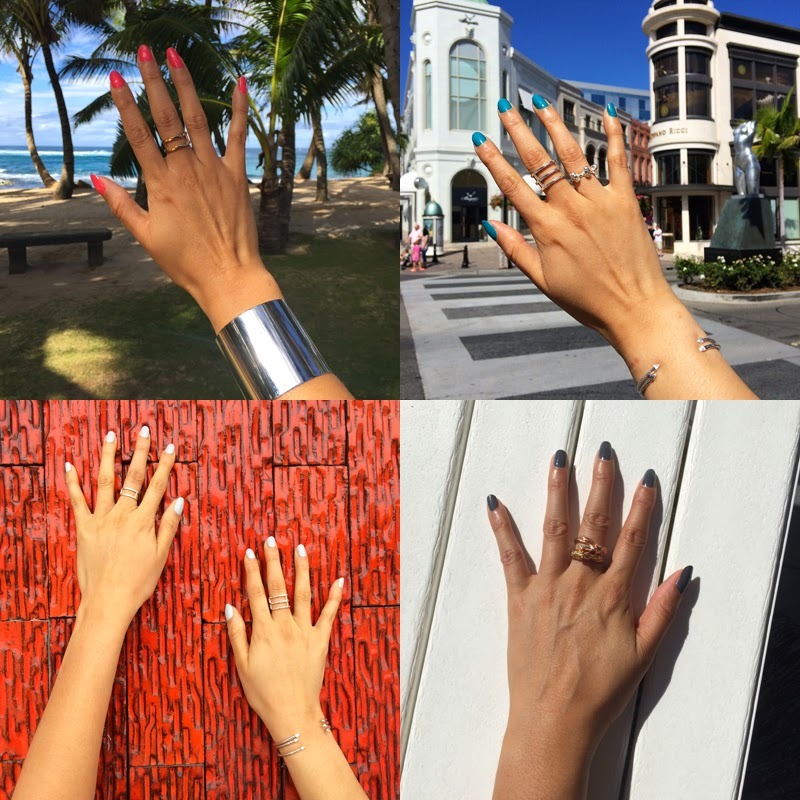 If you follow us on Instagram you've probably noticed I love changing up my nail polish color. What you might not realize is that I (pretty obsessively) stick to brands that are "5 Free". I started out doing this at the recommendation of a nail tech because I wanted to get my nails into tip top shape. After just one horrible encounter with an electric drill file my nails were left thin and damaged for almost five years. Needless to say, once I realized that sticking to cleaner ingredients didn't mean sacrificing my weekly polish change I was hooked. In addition to keeping my nails healthier, choosing polishes without the below harmful chemicals means I'm no longer willingly putting those chemicals on my body (which inevitably seep into my body). Win-win. All nail polishes contain chemicals, but certain ones have been identified to be "toxic". These cleaner polishes have been deemed either "3 Free" or "5 Free". 3 Free brands are formulated without: dibutyl phthalate, toluene, and formaldehyde. 5 Free brands are formulated without: dibutyl phthalate, toluene, formaldehyde, formaldehyde resin, and camphor. Let's just say there's a reason these chemicals are labeled as toxic and we don't want to be coming into contact with them daily. There is a lot of scary information out there regarding these ingredients, but I'll spare you the gory details because by simply switching polish brands you avoid said chemicals. Making the switch might mean you have to bring your own polishes to the nail salon, but doing so is more hygienic and you'll have the color on hand to patch any chipping. Because over time your nails will become healthier in the absence of those harmful chemicals they will also be less likely to tear and break. You'll finally be able to grow them out! *Note Chanel recently quietly reformulated and is now 5 free! We're looking forward to discovering new polish brands and colors and can't wait to share more of our favorites with you. Head over to Instagram to see what I'm wearing this week!